Outwardly, being the owner of a big ecommerce business looks good, but, it takes a lot more to achieve that goal. Before taking steps to open an online multivendor store, a person must do a self-assessment to know if he or she possesses the right amount of patience and determination to make it till the end. While having more positive qualities will be a boon in your entrepreneurial journey towards the launch of multivendor store, but qualities like independent decision-making capabilities, negotiation skills, and risk taking abilities will definitely pave the way for long-term success with guaranteed returns from online marketplace. The above mentioned points are important, but to get guaranteed returns from a multivendor store, there are more points to ponder. 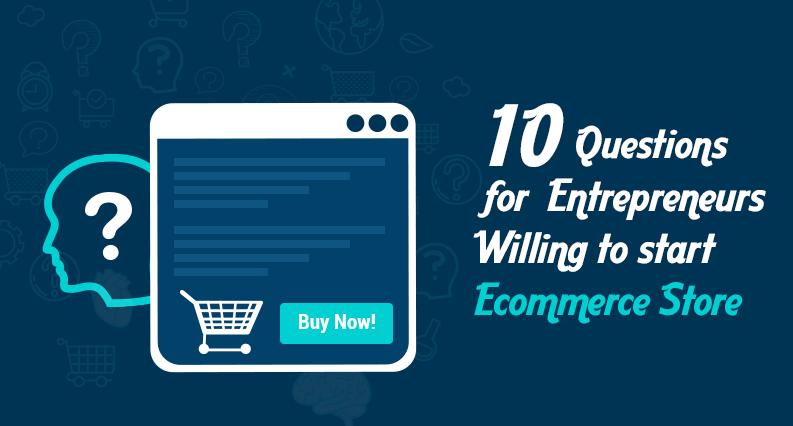 Following are ten of the must-have thoughts for entrepreneurs who are on the way to start their own ecommerce store soon. 1) Will you Involve a Partner? Whether to involve a partner or not? It’s a question you must be clear beforehand. Most of the entrepreneurs will argue on the pros and cons of involving a partner, but in reality, it is highly unlikely that two people share the similar vision. 2) Have you gathered the data to get started? The next phase involves an in-depth analysis of competitors as well as research to know about the behavior of potential consumers. Such analysis requires extensive market research along with valuable insight of the eCommerce industry segment. There are several sources, which can provide tons of information if searched extensively. Checking other marketplaces that are selling the same product may reveal how potential customers behave when they first see the product as well as other preferences of buyers related to pricing of the product, reliability of the service, quality of the product, and many more. Knowing which practices other industry leaders are following while marketing their product can help in brand positioning as well as provide useful insights ensuring a pragmatic approach while marketing. Also, social media channels can give enough information about the strengths of a product, as other brands promote their strong points there. 3) Do you know your competition? Every new business needs to know what are the problems of target customers. But a bigger need is knowing what your competitors fail to offer. How much competition your business will face, when it enters the market is the most important thing to know before you start a new ecommerce store. To know such intricate details, competitor analysis needs to be done. This analysis will involve fetching information like geographical areas, where demand can be much higher for the product. In addition to that, doing a keyword research and analysis will also be beneficial to know which products are coming on the first page of search engine results. 4) How to blue print the business plan? You will be well acquainted with the nitty-gritty of your product and its potential by the time competitor analysis is over. From here you should move on to creating a firsthand plan that will primarily include business model. Moreover, it is important to know whether the product will require financing from an external source or not. When it comes to building a product, it is wise to know the laws first so that no legal issues arise later on. Also, no matter where a startup is established, chances are that certain taxes and duties will be paid in order to remain on the right side of the law. This is why, to keep a proper record of such information, bookkeeping tool comes handy. There are various tools for bookkeeping, but tools like GoDaddy bookkeeping as well as QuickBooks are a good place to start for people who are new to it. 5) What will be the Brand Promotion Strategy? When details regarding finances and business model are in order, it’s time to finalize details associated with branding. This is the most critical step of all, as it involves placing the product exactly how an entrepreneur wishes people to perceive it. Internet has evolved in many ways and has turned out to be the dominant force, which is apparently the backbone of most businesses of 21st century. It is essential to think beforehand how a brand wants itself to be perceived over the internet. For best results, choose a brandable name or a name that can easily be discovered on the Internet. You can try 5 – 10 rule for naming your brand successfully. According to the 5 – 10 rule, good brand names are based on many repeating letters and are only 5 to 10 characters in length. There are various examples to back this rule, such as Google, Cisco, Apple, and more. The world has come a long way from brick and mortar stores to online marketplaces. Today, brands are carefully named after checking the availability of names on social media channels like Facebook and Twitter. This change in the approach also affects search engine optimization. However, to fulfill the need for brands to name their products easily, website developers have come up with innovative solutions such as Namechk and Knowem, which check names across different channels on the Internet, including domain names and suggestions to go for an alternate name. 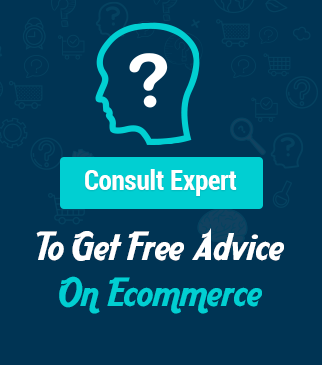 6) How to launch multivendor ecommerce Store? This phase involves choosing/building an eCommerce multivendor platform, which will help an entrepreneur along the way. eCommerce marketplaces can be built from scratch by hiring a team of website developers and designers. However, such an endeavor can be time-consuming and can shake the budget of an entrepreneur. If you have a good deal of time and money, it’s a feasible option. On the other hand, few entrepreneurs would like to act wisely and choose a turnkey solution, which is built by someone with years of experience in an eCommerce ecosystem. An ideal multivendor eCommerce platform will offer you all the necessary set of functionalities required to set up the marketplace and is easy for the owner to operate. Other aspects of an ideal multivendor eCommerce platform include economical pricing, powerful features, security, and ease of use. However, it is worth mentioning that the after sales support matters a lot to growing startups as they cannot afford to lose business over technical glitches. In addition to this, an eCommerce platform should also be easy enough for an amateur programmer to be able to extend the functionalities without compromising on the security of the platform. 7) How will the product marketing be handled? Starting a marketing campaign and the results yielded through it depends on the way a marketing campaign is launched. It’s better to begin early as a campaign has more chances of yielding maximum results when it starts before the launch of the product. While running a marketing campaign for an eCommerce marketplace, it is essential to research customers demographics. After knowing essential factors like age group, city, and more about target audience, break down all the goals into smaller specific goals so that they can be measured effectively. However, for any marketing campaign, the most important aspect is the landing page. Experienced marketers prefer A/B tests on landing pages to accomplish campaign related goals. Since, a lot of data is generated and needed during a campaign, the right set of tools should be utilized. 8) Are you thinking as the end-customer? Thinking like a customer has a lot to do with your ecommerce store. Since all transactions take online, it is your shopping portal that shoulders the responsibility to behave in accordance with user behavior. An interface is intangible and non-living, but humans are tangible and alive. Improving your website continuously to meet the highest standards of user experience is the need of hour. To accomplish this, you have to think like your customer and know what they expect when they visit you online. Implementing effective feedback collection functionality is greatly helpful in this regard. Following are few ways to foresee the changes that people expect to see to make their experience more pleasant. 9) The store is up & running, What’s next? The eCommerce ecosystem revolves around consumer satisfaction as no eCommerce marketplace can function properly if visitors face problems. Thus, it becomes important to have a forum section, where visitors can discuss issues that they may be facing. Also, it is highly recommended to maintain an FAQ section, where most commonly asked queries from consumers are kept. However, while forum section and FAQ section are viable options to address queries of consumers, but nothing beats blogging, which does a terrific job to engage potential customers while helping them sort issues. Once the marketing campaign is over and the marketplace is launched, efforts need to be put continuously to interact with people. This is where social media comes in. Although social media requires time and effort, but advanced tools like Buffer and HubSpot can really make a world of difference when used effectively. The process of expanding a multivendor store is simple. However, one should keep a close eye on the nitty-gritty while the expansion process goes on. It is important to know what type of funding your eCommerce business may require, and is able to acquire. There are various options like bank loans, venture capital, angel investing, and more. The journey of starting an eCommerce marketplace does not just end at launch, marketing or fundraising. If you aim to accomplish long-term success, it’s an ongoing process, with endless potential. Go ahead with experts’ guidance. Keep visiting us for more such interesting post articles.